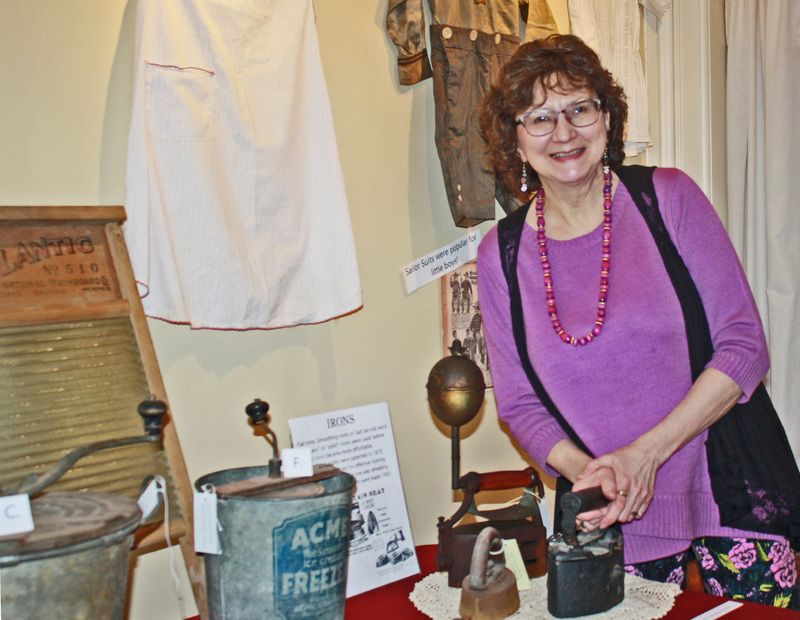 Visit the Doucette House Museum’s South Exhibit Room on the second floor and take a trip back to 1918 and the early 1920s. It is here you can see how the people lived by examining tools and utensils from that era. Clothing then was a lot different than we are accustomed to now. Irons to press the clothes were heavy and required strength and endurance to get the job done. It’s hard to believe but at the beginning of the 20th century some farmers still were using oxen to work in the fields. Others had modified their Model-Ts to bring in the harvest as well as to take the family to “Cambridge” or McKean. Life in 1918 was a lot simpler; no computer games, cell phones, shopping malls, internet sales or surfing. But life in 1918 also was a lot harder as most of our modern conveniences hadn’t been invented yet. Electric and telephone poles were just beginning to line the country roads and reach remote farmhouses. The “thunder mug” was a common appliance frequently hidden under the bed, the two-hole outhouse was a cold or hot “visit” depending upon the time of the year. Coal and wood warmed the homes and provided heat in the stoves for cooking, baking bread and heating the Saturday night bath water. So, where would you rather be? To find out your answer, tour the exhibit and then decide for yourself. Grandma and grandpa will see lots of items from the museum’s collection that will “ring a bell” and bring back memories from the good (or bad) old days. The Doucette House Museum, located at the corner of West Normal Street and Water Street is open on Tuesdays and Saturdays from 9:00 am until noon or by special appointment. Check out the historical society’s website at www.edinborohistory.org and go to it’s facebook page to see current activities. To see examples of it’s collections online, go to edinboro.pastperfect.com/photos and click on Edinboro Area Historical Society. More images will be posted as time permits. The Doucette House Museum is handicap accessible.